I love painting stripes on walls. 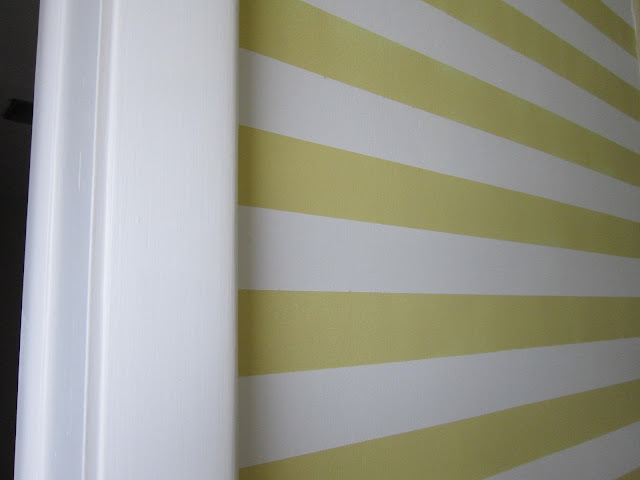 It's easy, cheap and looks like wallpaper. I've used horizontal stripes to give a room a contemporary feel and vertical for a more classic look. Either way, the technique is the same. 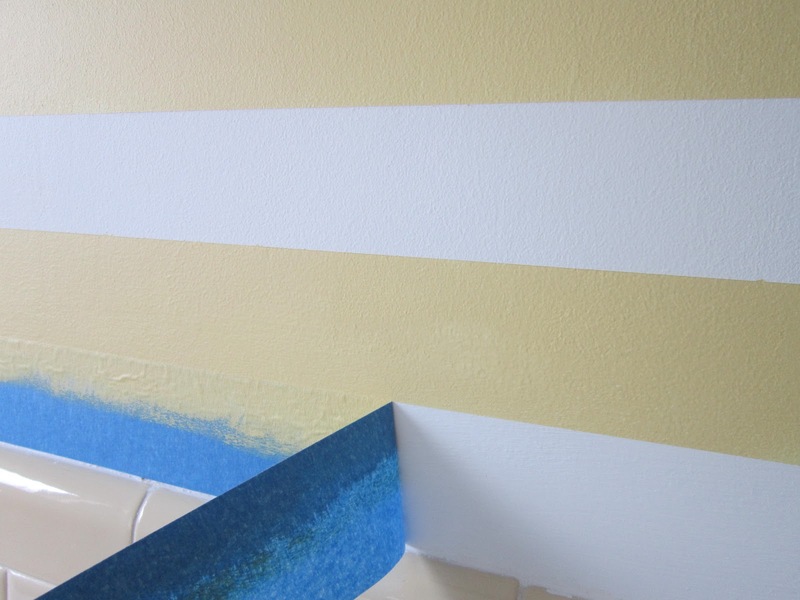 For a long time I would pull off the painters tape only to find the paint bled and did not give me the crisp perfect edge I was looking for. Then I learned the correct way to do it--it takes a bit more time but the results are worth it! 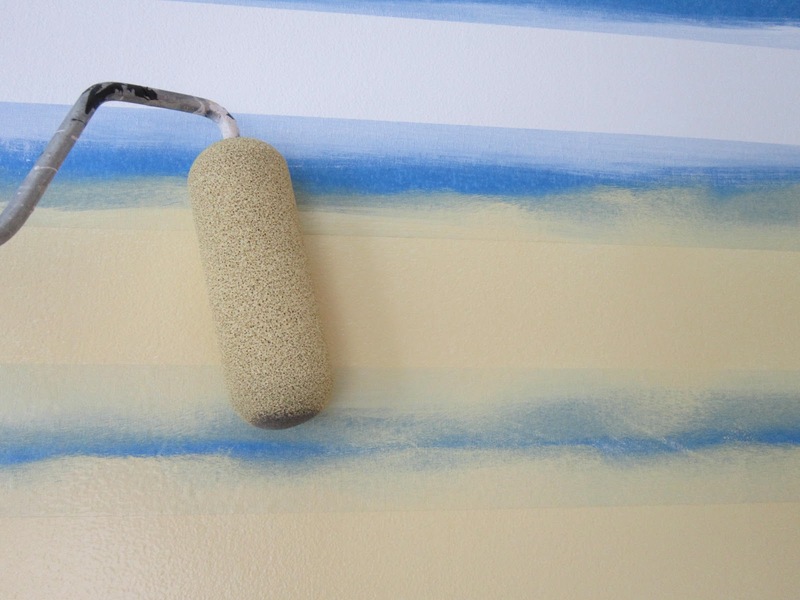 The first step is to paint the walls a background color. For this room I painted the walls white. The next day I got to work measuring and taping the walls where I wanted my stripes to go. 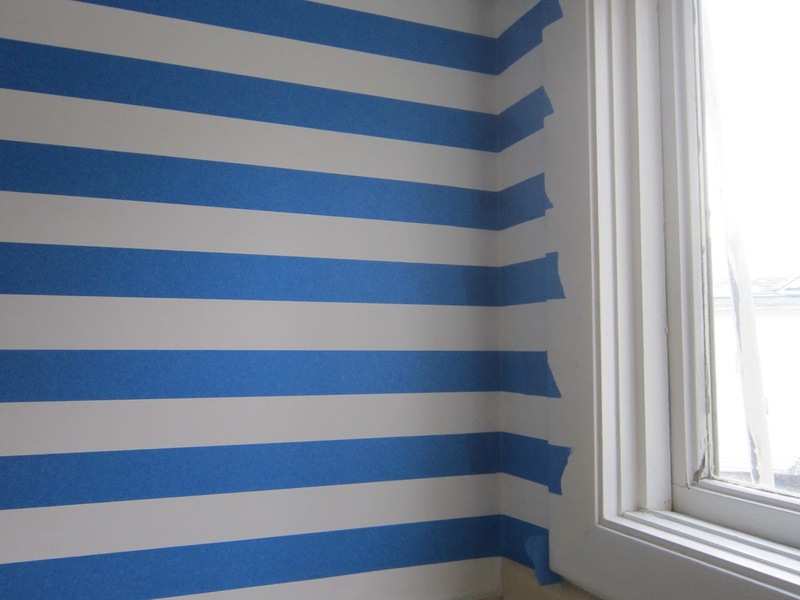 Because this is a tiny bathroom I went with 2 inch stripes which was the same width of the painters tape--it was easy to measure and tape using a level. You must seal the edges of the tape. 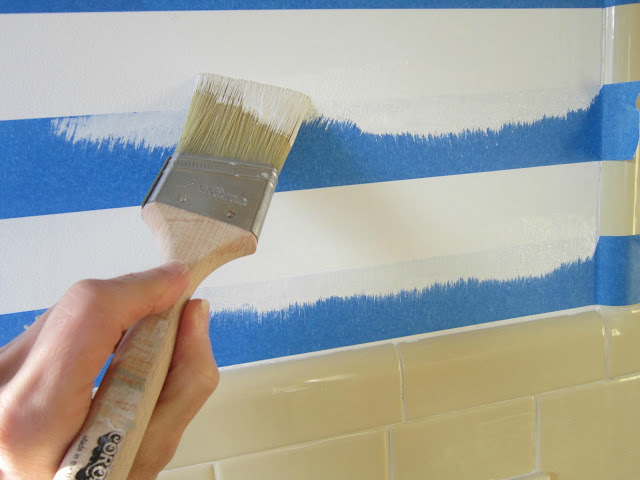 Use the same color as your base coat and brush just enough paint on the edges to seal the tape. After that dries it's time for the second color. Mine was yellow. This step is definitely the most fun! If you do have a few areas that are not perfect it's easy to fix with an artist brush. 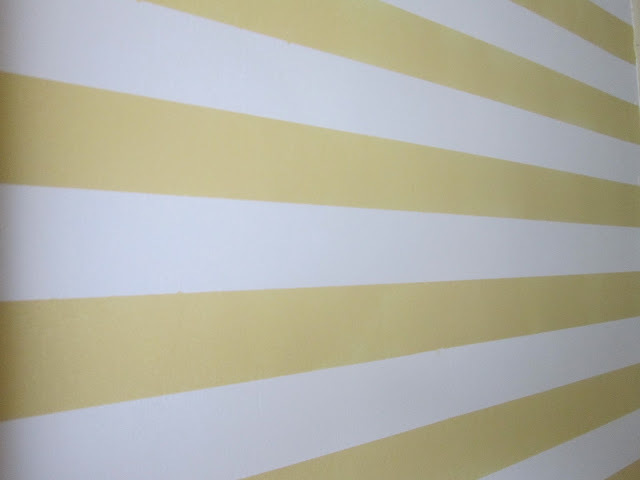 These are the walls I painted in the new master bath. I'm waiting for the light fixture I ordered online and I'll post the finished room! 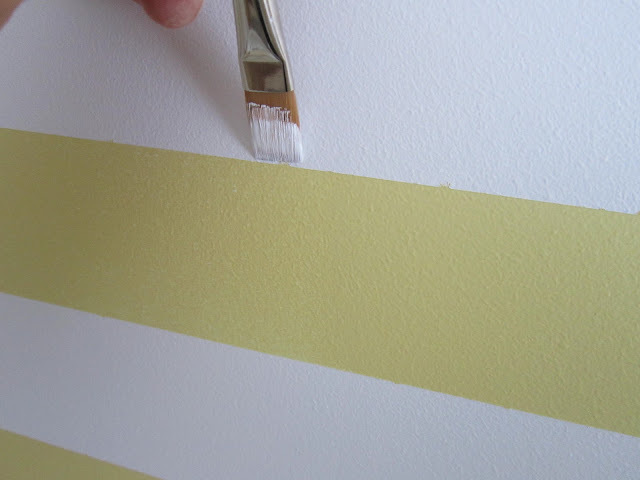 Labels: How to paint perfect stripes on walls, paint to look like wallpaper.